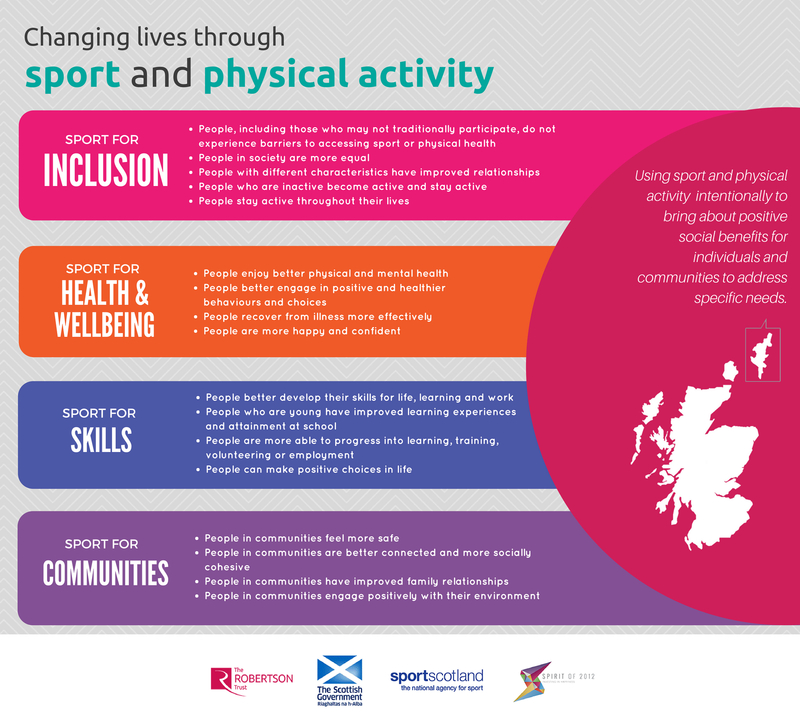 A new fund has been launched in Scotland aimed aimed at 'changing lives through sport and physical activity'. The £1million fund has been created by The Robertson Trust, Scottish Government, sportscotland, and Spirit of 2012, and is aimed at providing "short-term additional resource" for the community sport sector to better address "wider individual and community needs". It follows the main recommendations of Sport for Change research published by the four organisations last year. Two-year grants ranging from £30,000 to £70,000 will be available to organisations meeting key criteria and delivering on the four ‘Changing Lives’ themes which are: sport for inclusion; sport for health and wellbeing; sport for skills; and sport for communities. Kenneth Ferguson, Director for the Robertson Trust, said: “The Robertson Trust has a long history of championing and funding sports and physical activity where it delivers wider outcomes for individuals and communities. Our learning from this work is that positive change is most likely to happen when organisations understand their communities, have a focus on the change they want to deliver and have the right mix of internal skills and capacity to make it happen. Find out more about the fund, including how to apply, here.